Event Production services for private, corporate, government, and educational events. All your production requirements under one roof! Crossfire Sound (CF) has recently acquired Music First (Loudpa.com). CF is a full event production company based in Brooklyn, NY, and operating for more than 20 years. Offering the most comprehensive mobile stage trailer fleets in the North East. Our stages offer complete convenience for any sort of event or function - Dance Recital, Company Event, Music Festival, Symphony and more! The source for many Fortune 500 clients who rely on us to deliver the visual component of their messages and / or presentations. Video Projectors, Projection Screens, TVs, and a comprehensive video engineer support team to ensure any complications are quickly addressed. We focus on providing the best possible sound products and services for any event - private, entertainment, hospitality, corporate, or government function. With capacities from 100 people to over 100,000 persona arenas. Event lighting design specialists. Our lighting services are back by a team of lighting professionals who bring to life your vision. 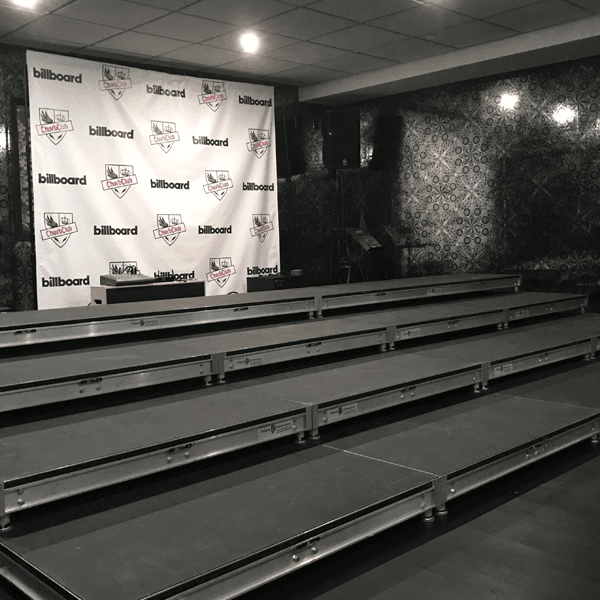 Our complete array of portable stages, platforms, choral risers, media stands, and mobile stages allows us to be one of the key players in the NE Market for stage set ups and services. No stage is too big nor too small. Need power for your next carnival, food festival, block party, concert, vendors, or parade float? We are your source for all temporary event electrical requirements. From 1 day to 6 month projects, we have got you covered. We are honored and proud to have provided support and production services for some of the most notable events in NY and surrounding metro area. The after hours support was above and beyond what I had expected. Thanks for saving my event! Thank you for 4 years of your excellent services! All About Getting It DONE.